Love the runner in the kitchen! Was it there in May>? It wasn’t but I don’t know if you actually went into the guest suite when you were here. I do remember that you commented on the rugs in the kitchen. Have put some effort into the guest suite as we had visitors staying there last weekend. I am planning to list it on Air B&B. I did go into guest suite; there wasn’t a table in it at the time either. Looking good! Crème, Ponche and I share your obsession. Neither Douglas nor Kahlua can understand it, but they tolerate us basket cases. I really love the spiral baskets you pictured, although it’s hard to pick a favorite. 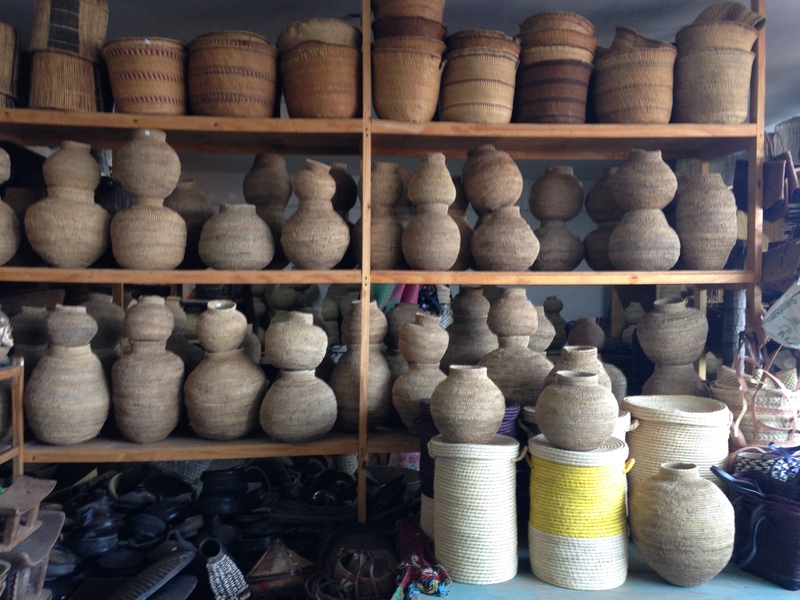 Can totally relate to your love of the artistry in basket weaving😃 A great article, thank you Jacqui and thank you for sharing places to visit and promoting Khosi. Jacqui, I’m curious about the print (etching?) behind your spaeth lily. What does it depict? It reminds me of “Out of Africa”! You have some beautiful art (and baskets)! Wonderful baskets, Jaqui. I’m going to send you a photograph of a basket which Peter bought recently at a beautiful shop in a nearby village which sells French antiques. It’s only open three times a year – for a week at a time – so we always take the opportunity to visit. (They have another shop in London, so are not entirely dilettante!) the basket is perfect for fruit picking and I’m looking forward to using it for the apples this year. Heather, you have been so much on my mind and I think I need to send you a proper email. I would love to visit sometime when that special shop is open! Your beautiful dolls house platter is finally in place on a diningroom table I bought in Sussex in June! That will have to be part of another blog post. I love this, Jacs, and the pets are shameless scene-stealers! Mom loved baskets, too. I still have at least one of hers. My aim now is to find a basket for your dolls’ house.